Following last weekend’s surprise announcement that Cruchyroll would be digitally distributing 12 manga titles from Kodansha – including Attack on Titan and Fairy Tail – Crunchyroll Manga is NOW OPEN to the public! 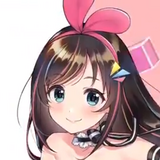 Service is accessible online at http://www.crunchyroll.com/manga, with iOS and Android applications also released today (click on the links to get 'em). 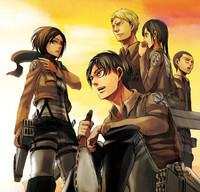 Now, members can enjoy an exclusive selection of the latest and most popular titles on Crunchyroll Manga at the same time it is released to newsstands in Japan, beginning with such hits as ATTACK ON TITAN, FAIRY TAIL, Mysterious Girlfriend X, Space Brothers, UQ HOLDER!, A Town Where You Live, Yamada-kun and THE Seven Witches, MY WIFE IS WAGATSUMA-SAN, and COPPELION. How can I access Crunchyoll Manga? 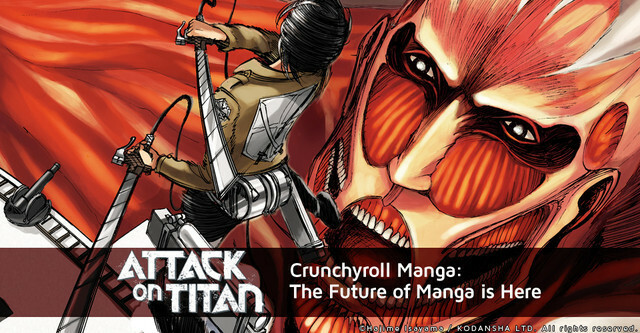 Crunchyroll Manga is available through a Crunchyoll Manga membership for $4.95/month, or through a Crunchyroll All-Access membership which includes anime, dramas, and discounts in the Crunchyroll Store for just $11.95/month. 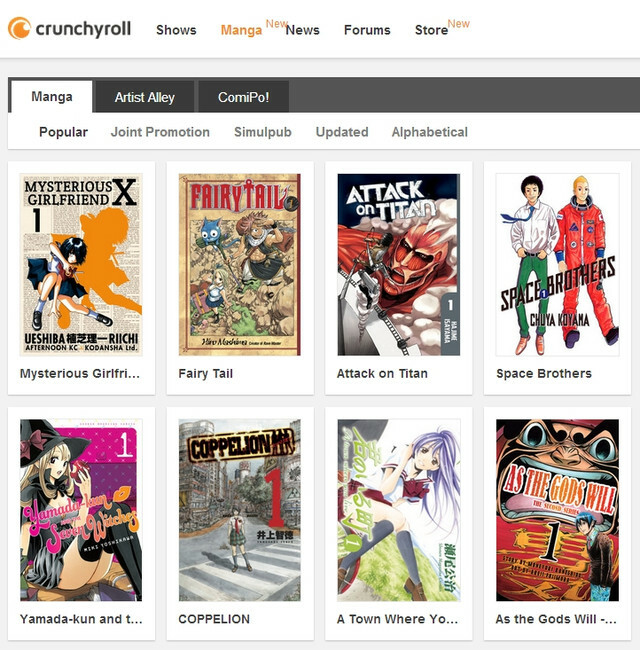 Manga and All-Access members will be able to access all Crunchyroll Manga content, including catalog chapters, with no ads and exclusive control options. All other Crunchyroll members will only have access to the latest simultaneously published (“simulpub”) chapters with limited advertisements. What if I'm currently a Crunchryoll All-Access Member? Crunchyroll Manga will be added to your Crunchyroll All-Access membership for no additional charge (sweet, huh?). What if I'm currently a Crunchyroll Anime or Drama Member? Anime and Drama members will only be able to read the latest simulpub chapters with limited advertisements. Anime and Drama members can upgrade to All-Access membership to enjoy all Crunchyroll Manga content ad-free. How does Crunchyroll Manga benefit creators and publishers in Japan? Crunchyroll Manga offers a unique revenue share model that generates revenue from a combination of membership proceeds and ad revenue allowing publishers and creators the ability to monetize their content from both paid and free users. Why are certain chapters of a particular title not available on Crunchyroll Manga? 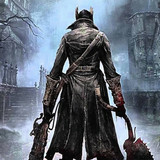 Due to contractual negotiations with publishers, if a physical copy or e-book is available for sale, that series might not be available on Crunchyroll Manga. We are working towards ensuring that volumes not available for digital reading be available for physical purchase on our E-Commerce store with membership benefits. Why is a certain title not available in my territory? Some manga may be region blocked on a title-by-title basis for a number of reasons, the major reasons being the Japanese publisher's relationships with publishers in the particular country and their existing licensing situation there. What does the future hold for Crunchyroll Manga? Crunchyroll Manga is an open platform. We hope to soon add more manga from as many publishers as possible, aiming to make Crunchyroll Manga the best place for manga fans worldwide to enjoy the manga they love faster and more conveniently than ever before. 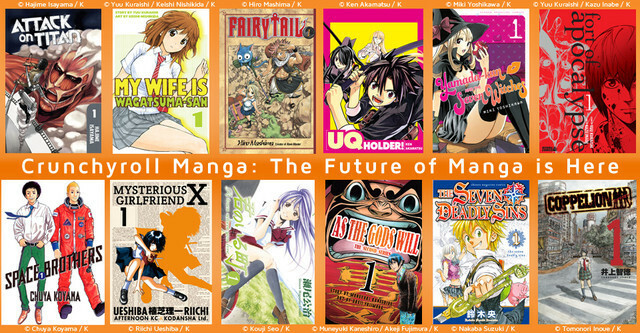 In the meantime, welcome to the future of manga! - UK viewers: manga might not show up if you are coming from crunchyroll.co.uk (or other crunchyroll tlds such as crunchyroll.ca, etc). Please try login in from crunchyroll.com, this should work while we fix this issue! - Layout issues on iOS/ipad: we are working on a update! - Layout issues on web: we are working to fix some of these issues, as well as make the zoom/navigation/full screen options available to premium readers available for everyone! Patrick Macias is editor in chief of Crunchyroll News. 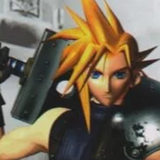 He is also the editor of Otaku USA magazine. Check out his blog at http://patrickmacias.blogs.com and follow him on Twitter.